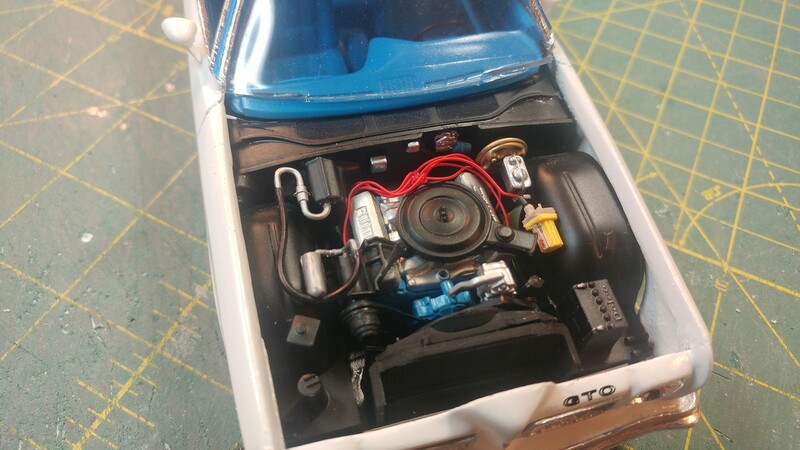 After loading the pictures I noticed I forgot the upper radiator hose and the back up lights. I'll add those befor I put it in its case. I like it..! Nice work. 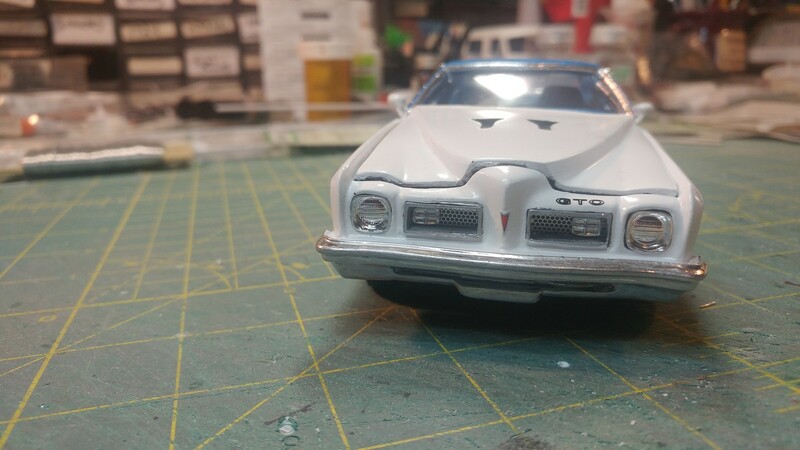 We once owned a 70,71,73,74 GTOs...be nice to make replicas of them someday too. 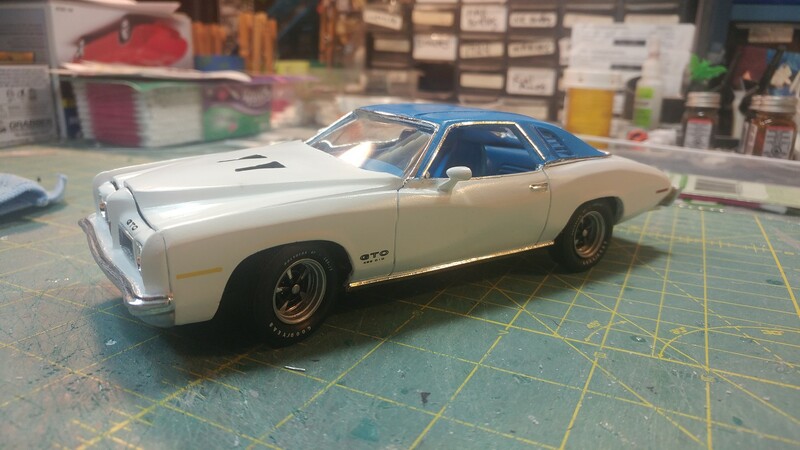 That really came out great I love that body style I wish one of the model companies would tool that I think there are many modelers that would love to see it in plastic hint hint to some company out there.!!! Nice build-the first complete street build with one of my resins. YelloSportWagon did HB Bailey's 73 Grand Am NASCAR car. Both builds look great and you guys got them done faster than I have! Really nice GTO. It's not every day you see a GTO in this style, at least not for me. 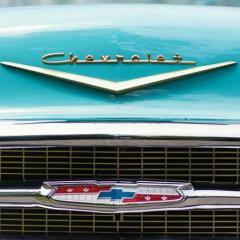 However, I think it is a great style for an awesome street machine. Ron, What did you use for tail lights? It was a fun build!!! 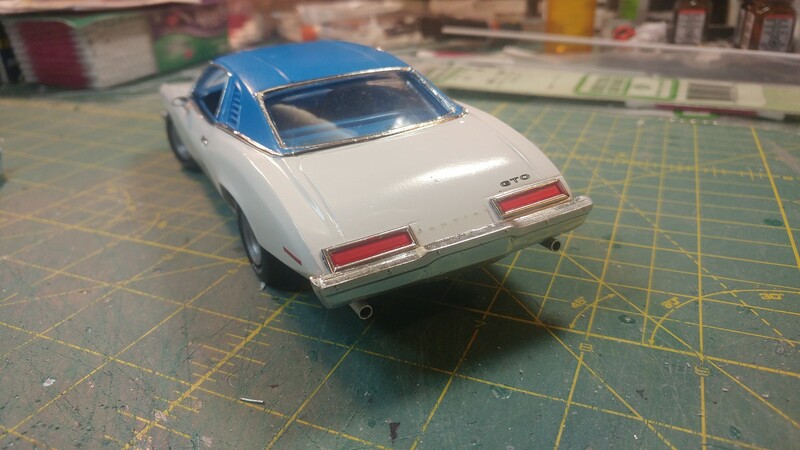 Larry, I built the tail lights from scratch, as the GTO ones are a little different from the Grand Am. Great job. I really like seeing a built up model. Btw we need to get Keith Mark's to do decals etc for the 73 GTO. Awesome Build!!! My first car was 1973 Grand Am with 400 engine. 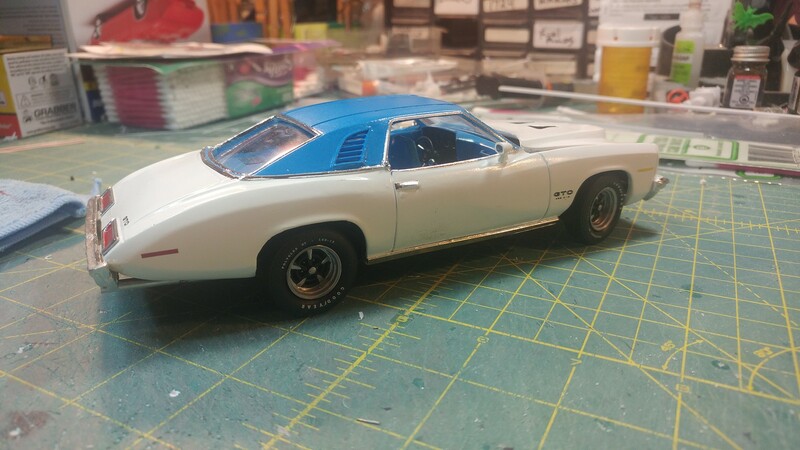 That looks awesome I really like it I wish one of the model company's would make a 73 GTO with LeMans parts to make it a 2-in-1 type of kit. Like this great color choices !!!!! That is a cool build now I have to get one of these to build a replica of a friends ride back in 89 from Pottstown pa.
it was burgundy withcragars and 4:10 gears in it 350 and a th400 trans . A forgotten car in 1:1 compared to its older siblings, not to mention in smaller scale, very nice to see one being built.